If you’re looking for a versatile training table for your company in Alpharetta, Woodstock, Sandy Springs, or any other community in and around Atlanta, GA, turn to the options provided by NorthPoint Office Furniture. At our spacious showroom, conveniently located in Roswell, you’ll be able to see, touch, and feel the actual tables we offer to help make your decision process a little easier. Plus, we’ve set up full displays of the office furniture we sell so that you can see how our products look in an office setting. Once you’ve chosen the table you want, we’ll be able to provide you with the seating or any other additional furniture you may need. All of the training table options and other business furnishings we offer are available in a variety of different finishes, including cherry, mahogany, maple, espresso, oak, and more, so you’re sure to find an option that will complement the interior design of your office. 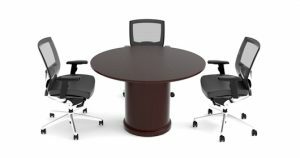 For more information about the training table, meeting table, corner desk, and other options we provide for offices in Alpharetta, Woodstock, Sandy Springs, and the surrounding Atlanta, GA, communities, contact NorthPoint Office Furniture today.